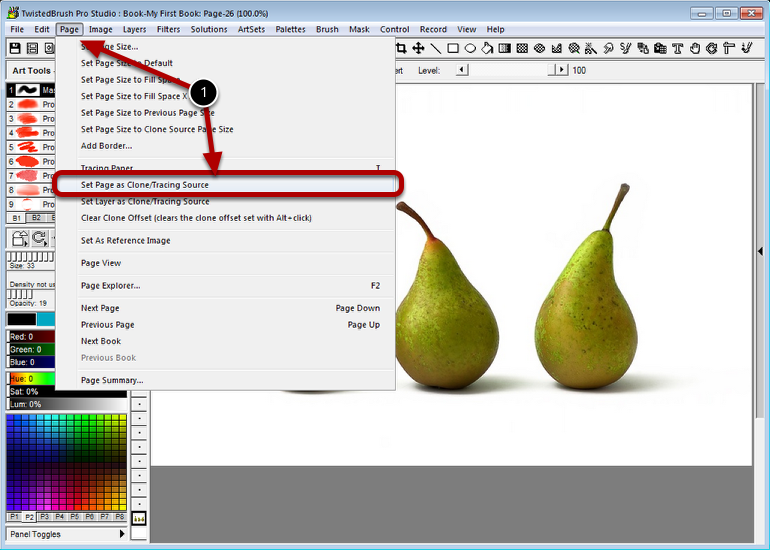 The Tracing feature allows you to see a ghost image of another page or cloning source. This can act as a guide for creating a new image. Select Set Page as Clone/Tracing Source from the Page menu. 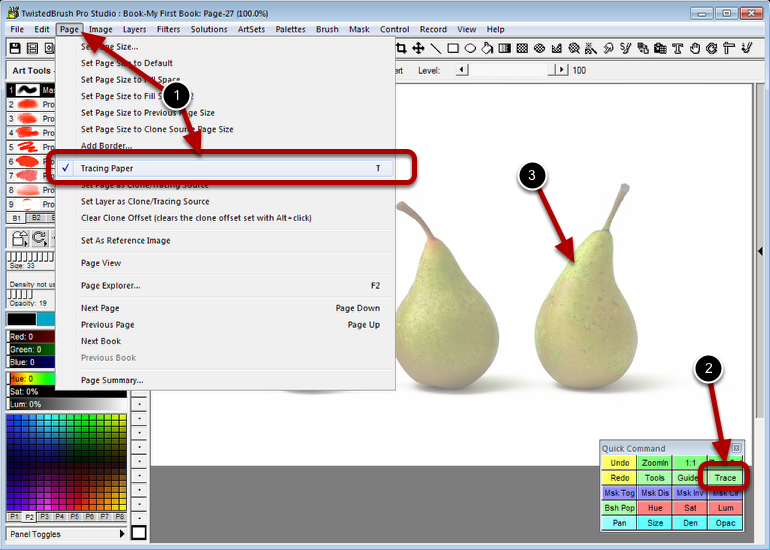 Switch to a new page and select Tracing Paper from the Page menu. Also the Quick Command panel has a quick key for Tracing. Now the ghost image of the other page appears. It overlays everything on this page and can't be edited.